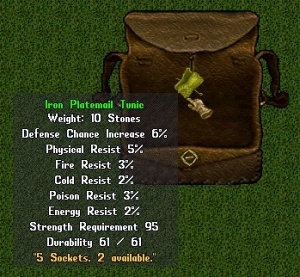 Special gems can be socketed into weapons, armor, clothing, & offhand items that have open sockets in them. 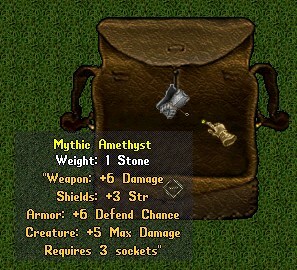 The gem augments drop as monster loot throughout the lands. Currently there are around 200 different types of gems that can be socketed. Socketing uses Arms Lore for items, and Animal Lore for pets to add sockets, and Blacksmithy for items and Veterinary for pets to expand sockets. 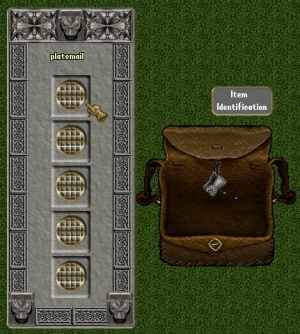 1) To socket a item, it will need to have available sockets on it. 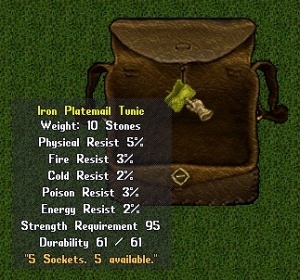 For this example we have an Iron Platemail Tunic with 5 available sockets. 3) To open the socket gump you will need to use the Arms Lore skill on the item. 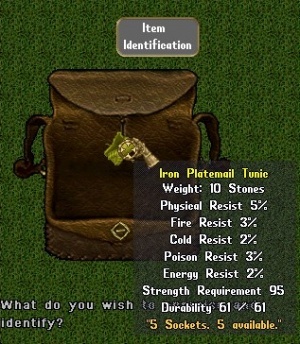 Then target the item that can be socketed. - Most gems can be un-socketed from your items but not all. 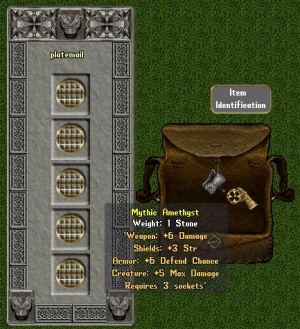 You will need to use a socket hammer on the item to remove the gems. There is a chance that the item will be destroyed in the process. 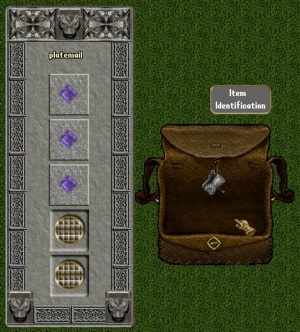 - Regular gems are not the same as the gems that can be socketed into items. Hold your mouse over the item to see the name & any properties that will be added to the items.